Please print this page from your computer. Fill in the form and mail to: Alaskan Christmas Bazaar, P.O. Box 231295 Anchorage, Alaska 99523. 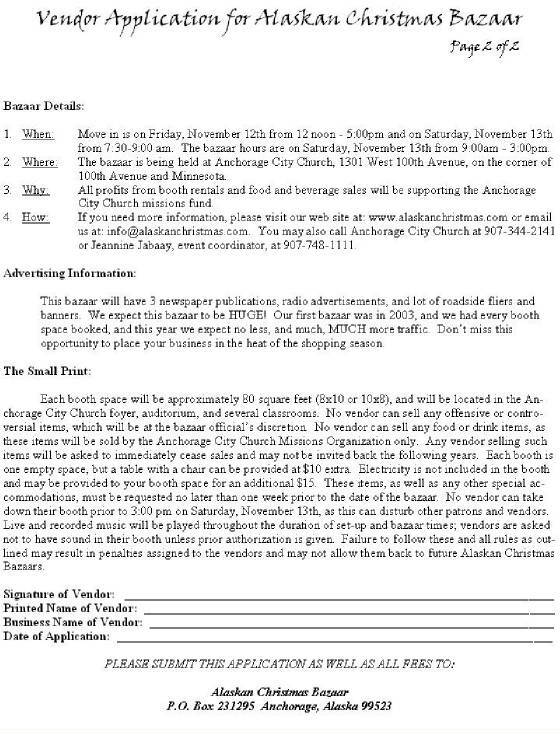 Or bring this completed form to Anchorage City Church at 1301 West 100th Avenue (the corner of Minnesota & 100th Avenue). Be sure to include all fees with the completed application. 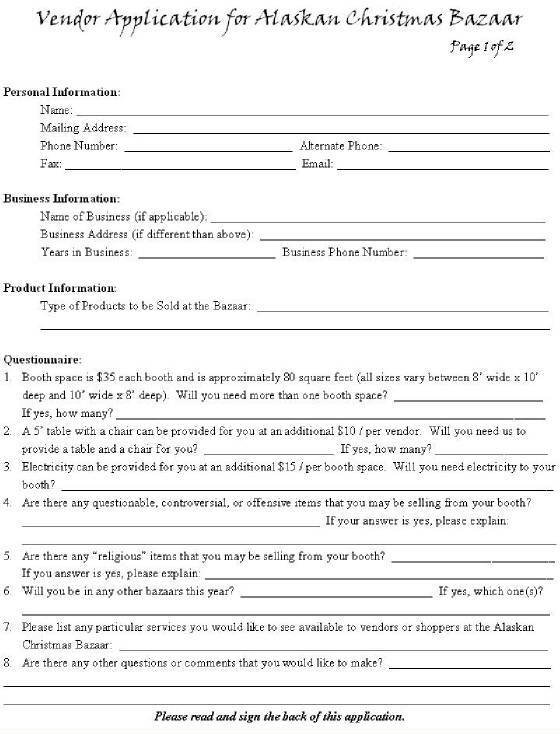 Click here for a printer-friendly vendor application.